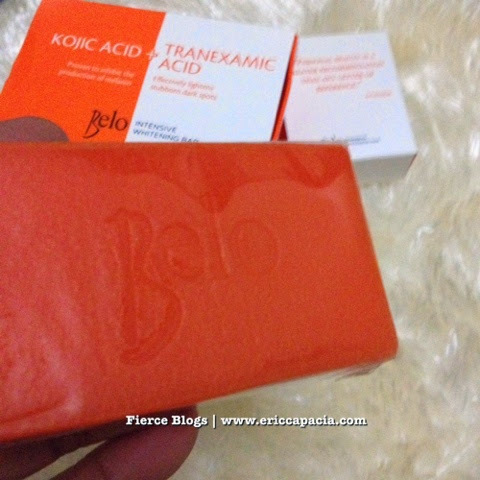 I've been getting quite a number of comments and inquiries (email messages) if I tried the latest whitening soap by Belo. It's called the Belo Intensive Whitening Bar. 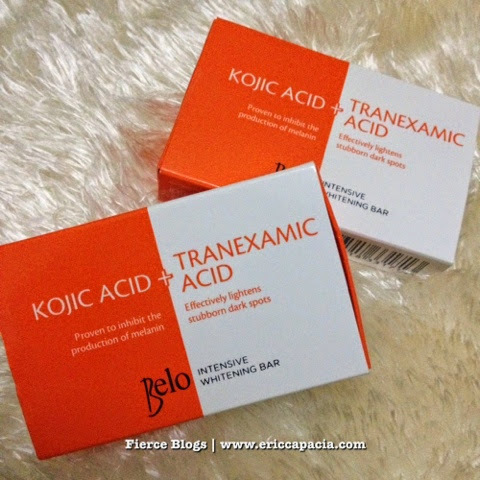 Since I love my readers and I am a sucker for whitening agents, I just had to try the soap. 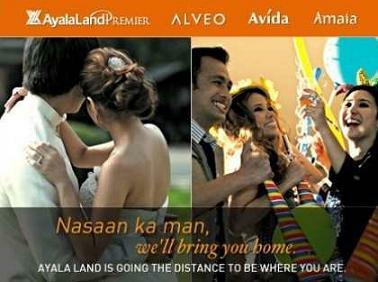 This is not yet a full blog review. 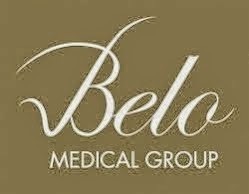 I yet to finish my 1 week experience using Belo Intensive Whitening Bar. I'm done with day 2 and I use the soap twice a day as instructed. 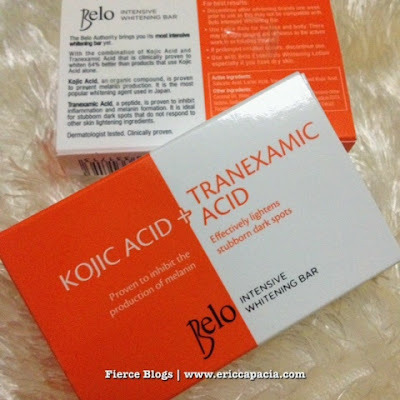 For now, here are some photo of Belo Intensive Whitening Bar. How can I make my skin lighter?